The vibrant green hues of Peridot are absolutely breathtaking. Varying qualities range from a dark mossy style green to a bright candy apple green. Although peridot is beautiful, it is also fairly delicate. The stone is rated as “fair” for everyday wear. 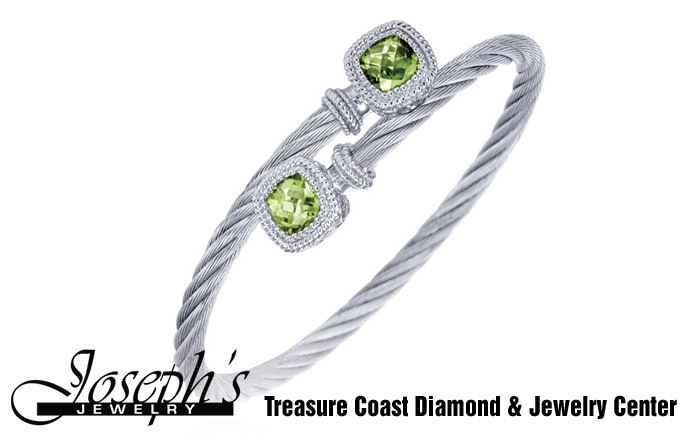 Joseph’s Jewelry is the premier location for Peridot on the Treasure Coast. From custom creations to designer favorites, we can take care of your every need. 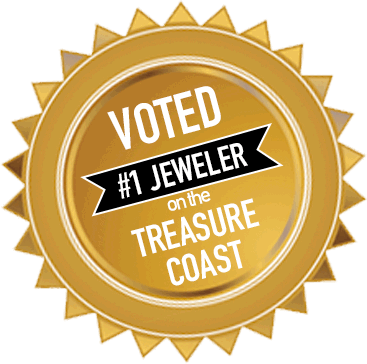 Check out our website for more information on Peridot, jewelry design, and repairs from the Number 1 voted jeweler on the treasure coast. “The green-apple crispness of Peridot is a perfect complement to today’s lively fashion scene. As the popularity of lime green continues to grow, so does the youthful appeal of this citrus-hued gem. Peridot is treasured by the Hawaiian peoples who believed the gem to be the tears of the Goddess Pele. Peridot was known in the ancient world as well; the Romans named the gem “Evening Emerald” as its brilliant color did not fade in lamplight, but instead seemed to glow in the evening hours. Partly for this reason, Peridot was believed to help dreams become reality and to drive away the evil spirits of night.